Solar, Man of the Atom. X-O Manowar. Bloodshot. Harbinger. Rai. Shadowman. Eternal Warrior. Archer & Armstrong. Etc. Lots of great art and great stories, all in a cohesive universe! They even had a different look and “feel” that set them apart from other comic universes. 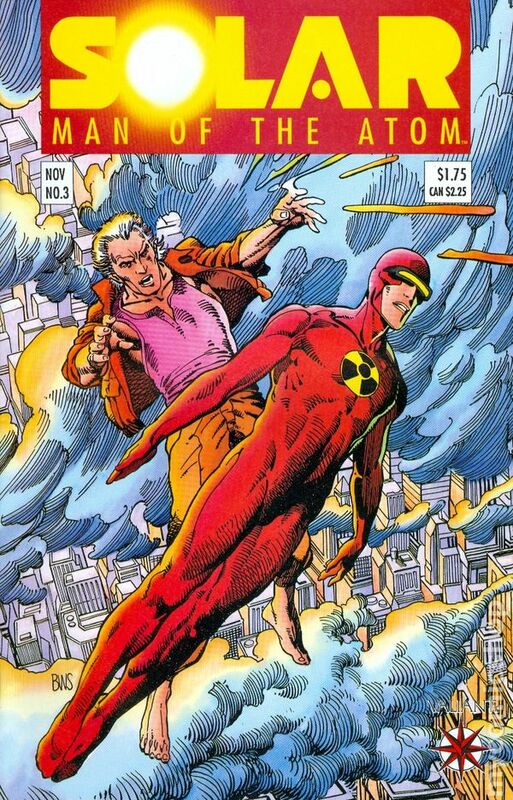 I remember when Jim Shooter and Steve Massarsky launched the new company in the early 1990s, following a failed attempt to buy Marvel Entertainment. (Well, technically, Voyager Communications was founded in 1989, but the first books under the Valiant Comics imprint came out in 1991.) They began by licensing a couple older characters — Solar, Man of the Atom, and Magnus, Robot Fighter — that were originally published by Gold Key Comics in the 1960s. I never really got into Magnus much, but I loved the god-like Doctor Solar. And the artwork by Barry Windsor-Smith and Bob Layton? Awesome! The company attracted some talented creators, both new and veteran, and the stable of characters and titles grew. Diamond Comics Distributors named it Publisher of the Year in 1993 and, at some point, Valiant became the third largest comic book company in the world. Shooter was forced out in 1992 and Acclaim Entertainment bought the company in 1994. Of course, Acclaim cancelled a few titles in 1996. Acclaim went bankrupt in 2004, and that’s about when I lost track. I heard about the new Valiant Entertainment which started up in 2005, but I didn’t realize that it was formed by two mega-fans who bought the old company’s assets. (However, the licensed characters Solar, Magnus, and Turok were not part of the deal.) Dinesh Shamdasani and Jason Kothari weren’t even out of college when they put together the winning bid. (Actually, they came in 2nd, but the winner pulled out shortly afterward.) They built up a senior advisory board consisting of several former Marvel people and chaired by former Marvel CEO Peter Cuneo. They enticed Marvel’s Warren Simons to join as Executive Editor and eventually put together a stable of enthusiastic and award-winning creative talent, publishing their first comics — reboots of four of the original characters — in “The Summer of Valiant” in 2012. Of course, remember that I said that Valiant Comics were cool? That’s because I haven’t read any from the last few years, so I can’t judge them from personal experience to say if they still are cool. (I am aware that Quantum & Woody, unfortunately, has become politically-charged, insulting to certain groups, with disappointing art and humor. I don’t know about the other titles.) However, they must be doing something right. 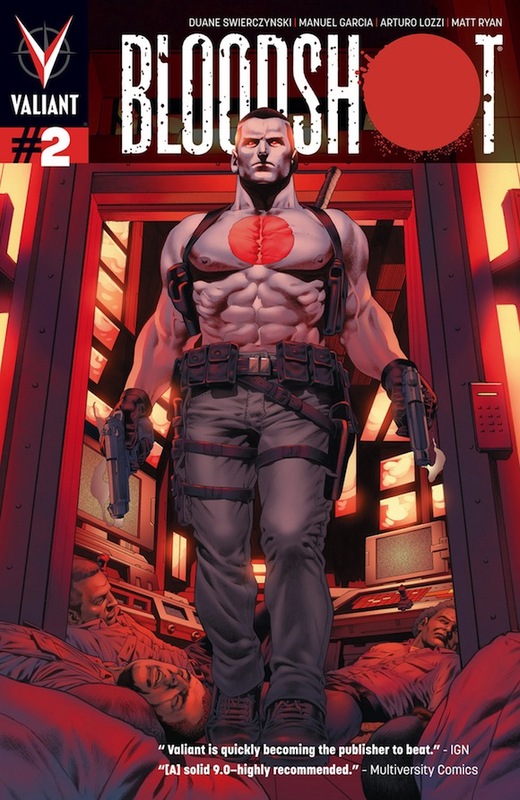 The new Valiant proceeded to win Publisher of the Year, set sales records, and was the most nominated publisher in comics at the 2014, 2015 and 2016 Harvey Awards. That was three years ago. Now, we come to the latest bit of major news on the Valiant front…. According to the Wikipedia summary of the deal, Valiant CEO/CCO Dinesh Shamdasani, COO/CFO Gavin Cuneo, and Chairman Peter Cuneo will transition out of the company, though the first two will continue to serve as consultants. No word, yet, on new management, but presumably Mintz will serve in at least a couple of the top spots. Valiant’s publishing team, however, will remain in place, including Publisher Fred Pierce and Editor-in-Chief Warren Simons. I have no idea what kind of a reputation Mintz/DMG have as filmmakers or businesspersons. (Iron Man 3 and Looper were good and fairly successful, but not great.) I have to say, though, that this sounds like a fantastic development for the Valiant properties to get the stable financial and creative backing they need to proceed with the TV and film productions — probably more. Mintz sure sounds enthusiastic, and I hope he is as driven to make quality, story-driven productions with these characters as everyone from Shooter & Layton to Shamdasani et al. have been. I hope-n-pray that the film/TV adaptations stay faithful to the comic sources, so that longtime fans can enjoy the original characters they… we… grew to love. And, of course, it would be nice if the comics themselves continue to be well-written and entertaining (and hopefully not objectionable) for all.